I have been so excited to get on my laptop and write this post for weeks now and now it's finally time - wahoooo! It was back in October when Jurlique first started talking Christmas to me, I blooming love Christmas and the lovely lot at Jurlique alike so to be asked to join in with a fabulous December campaign of their's was so exciting! I've used Jurlique products before (you may remember this post) and, of course, fell in love with them straight away! They are one of those 'how have I not tried anything from these people before' kind of brands! Anyway back to what this is all about! This year Jurlique have created some amazing goodies and gift sets full of their best selling products and with Christmas just around the corner, it's all about giving the gift of glow! Know someone who's a skincare addict? Want to treat a loved one? Or maybe fancy something new for yourself? Then keep on reading! For 12 days this month a different blogger is going to be sharing with you one of Jurlique's fabulous sets .... and I, Kirstie, here at A Yellow Brick Brick am Day number 2! So sit back, relax and check out the Aromatic Rose Duo! The rose range was what I tried before from Jurlique and I love love loved it so I had high hopes for this lovely duo! The set comes in a lovely gift box and as you can see from photos at the top, came beautifully wrapped! I love the little touches like from companies, especially if you are giving i to someone as a present! In this duo you get the 125ml Rose Hand Cream and the Roll-on Rose Fragrance Oil. First I'll talk about the hand cream! This tube is huge! Well... it's 125ml but it feels so big compared to all the other hand creams I own, which is fab! I always carry a huge handbag so the fact it is a little bigger doesn't bother me in the slightest! The cream itself is so thick and creamy, without being greasy at all it is seriously lovely! I use so much hand cream at this time of year, the cold weather makes my hands so dry and working with the public I tend to over-use that trusty anti-bac aswell which causes havoc with my hands too, so hand creams are life savers! 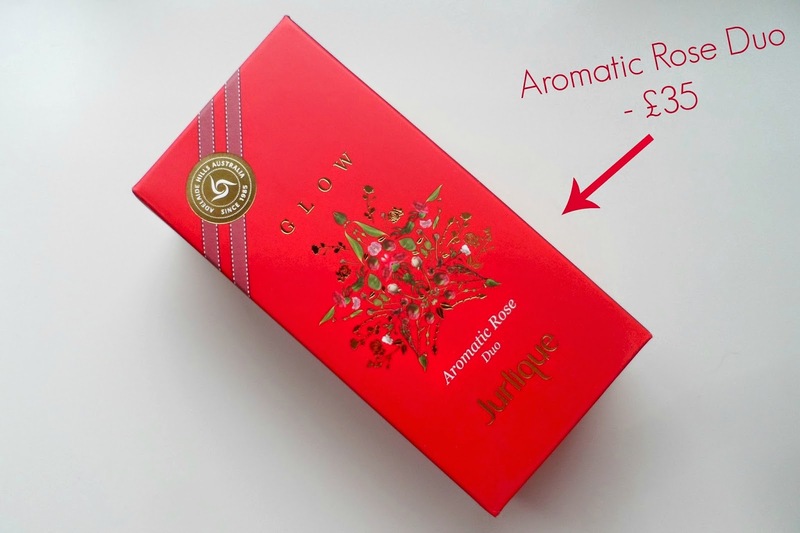 The scent is beautiful, just like my other rose products from Jurlique, the smell is soft but strong and lasts for ages! I can imagine my Mum keeping this cream by the sink for everyday use.... she always has hand creams near the sink and I know she would LOVE this! The other half of the duo now and the roll on fragrance which comes in a convenient 11ml bottle. The powerful rose scent includes top notes of Rose Wardia and Rose Anatolia blooms and the smell is so long lasting on the skin! I find the smell of rose really soothing and calming and it has really been helping me relax after a hard days work recently! As you may have seen earlier this week I talked about products that have been helping me sleep better.... this is one of them! After having a shower I have been putting this on my pulse points and relaxing on the sofa! If you wanted to have it as an everyday fragrance it's also great layered with the other rose products Jurlique has to offer! Convenient, quick and easy this is a fabulous product! Worth £50 in value this gift box saves you a whopping £15 being only £35! Click here to check it out! A gorgeous present for a loved one this Christmas (or yourself! ), I must say both these products have been such a luxury treat for me. 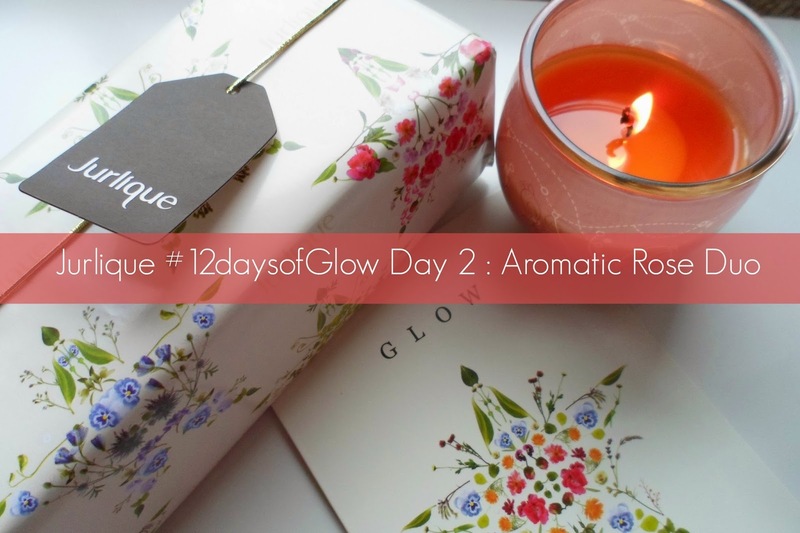 Make sure you check out the rest of Jurlique amazing blogger #12daysofGlow - I know some amazing girlies that are just waiting for their turn to rave about their products they have been trying! To see each day being revealed make sure you are following Jurlique on twitter - @JurliqueUK and see how many blogger and vlogger faces you recognise! I bet these must smell amazing - great picks. Ohh I so wish I could have a sniff of these. They look great!